I very rarely use make-up. I have a compact that I bought last November when I had to go for a wedding in the family and that’s probably thrown somewhere by my three year old twin boys and lipsticks that I can count on a single hand! So, that’s pretty much what defines make-up for me! I’d got to know about the launch of this cream in one of the mails that I had exchanged with VedicLine and I was pleasantly surprised when I received this and the Moistin Papaya and Hibiscus Moituriser a few weeks ago. I’ll save the latter for another review. The colour and texture of this cream to be similar to that of a liquid foundation. And since I am not too much into make-up , I was a bit sceptical about using this, but then nevertheless, I took the plunge and I have been using this for about 2-3 weeks now. I have a combination skin and I found that it made my T-zone slightly oily post a couple of hours of application.But yes, I noticed that my skin looked like it had an even tone. Maybe the colour of the cream blended well with my skin. I am not sure how this product will fare for people with oily skin! I hink people with dry skin will need to use a lesser quantity of moisturiser before applying the BB cream. The SPF 20 is an added benefit for people who are out in the sun. Ingredients: I have not gogled most of the ingredients, but at a glance I could say that not all of them are natural ingredients. I’ve still carried out this review because the product was sent to me for consideration. And the product is free of parabens. Price and Shelf Life: This is priced at Rs. 250 for a 30 ml tube and has a shelf life of two years from the date of manufacture. Will I recommend this? : To people who apply make-up, yes. I think this is a better bet than the foundations available in the market. If you have a combination skin, you may need to use a matter compact to dab on the portions that get oily post the application. 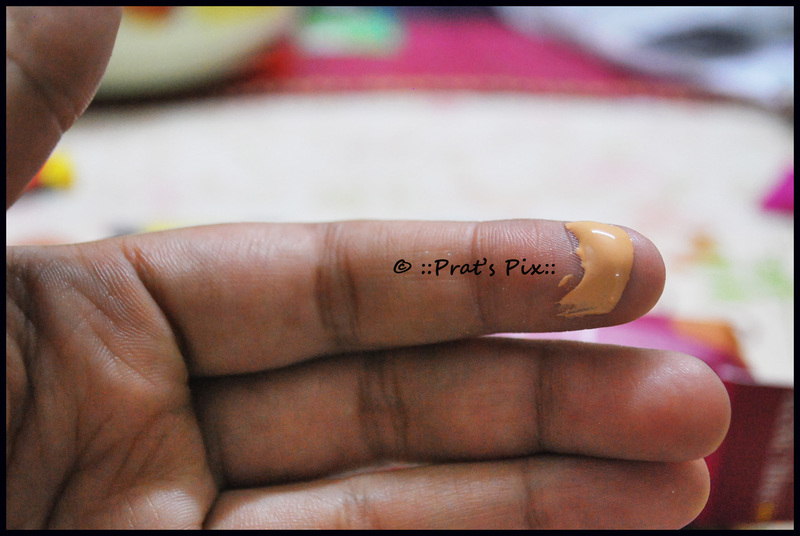 Since you need just a wee bit of ths cream, the tube is likely to last for a long time. 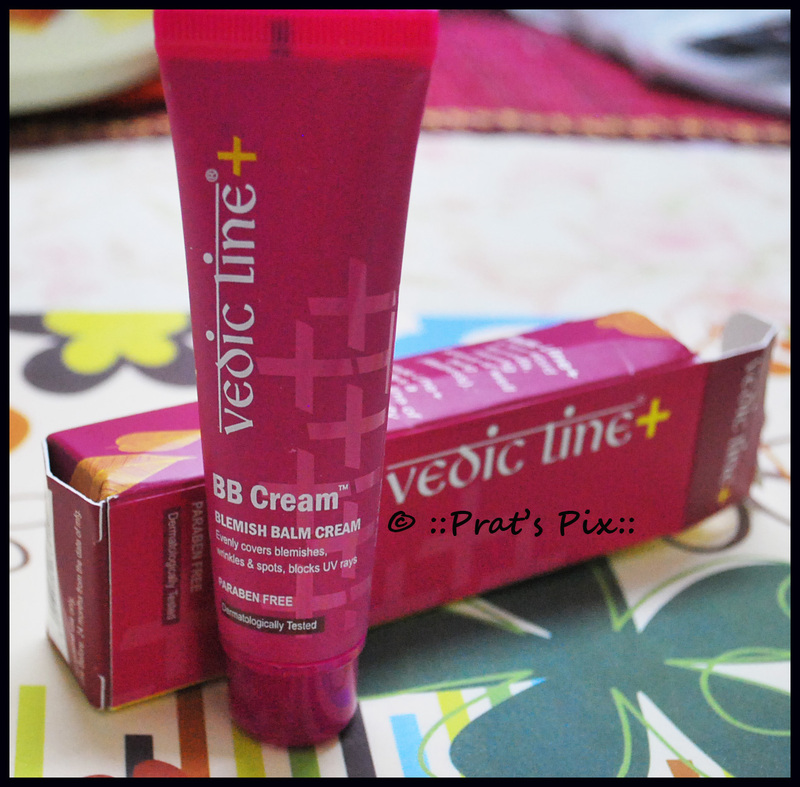 Vedic Line BB Blemish Balm Cream serves as foundation or primer for application of make-up. Does not come off easily by sweat or sebum. Protects for upto 12 hours unless washed off with soap. Note: This was sent to me by the PR for consideration. It has not influenced my review. *WWW.GOODLIFE.COM is currently running a cash back offer promo where you could get upto 100% back on products purchased till June 10th, 2012. Additionally, this cream is available at a 10% off at Goodlife.